What's on offer? 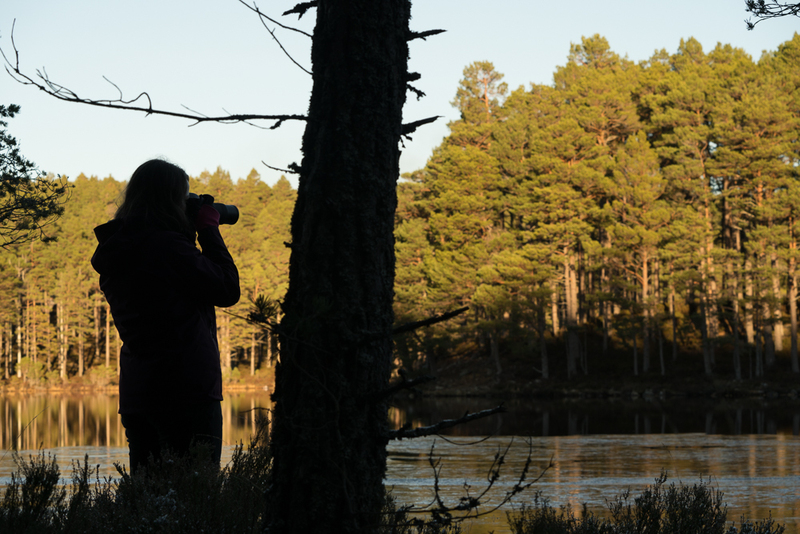 Bespoke photographic tuition for individuals and small groups in Scotland, tailored to your photographic needs and outdoors experience. For trips of 2 or more days, we can also wild camp if you'd like. This allows plenty of time to explore the location properly, experiment with night photography and embed the learning. "a talented and patient teacher"
Who am I? A photographer and writer about the method and practice of photography. I've even won a few awards for both. Before moving to Scotland, I worked as a teacher (arts based to degree level) and have many years of informal outdoors experience. I've been taking and making photos for over 3 decades, working across genres and styles. Much of my work now involves photographing people and landscapes for outdoors magazines. For more info, take a look here or browse the website. What will you need? You'll need to bring your camera, spare cards and batteries, plus a remote timer if we are camping and you want to make the most out of the night photography session. A tripod and some graduated filters can be provided if you don't have them. 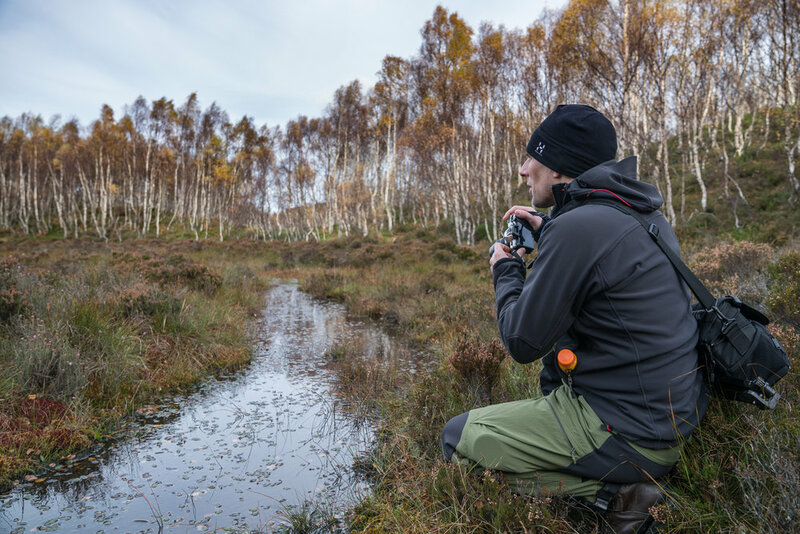 It’s useful if you have a little outdoor and photography experience, but you don't need to be an expert. I work with people at all levels and adapt the trip to fit you. Price: The price is £150 per day per person, but a small groups discount is possible if you book together. I concentrate on 1:2:1 ratio, or small groups that book together. Camping equipment loan and transport transfers can be arranged at little or no extra cost. Location: The venue list is growing all the time, but I do have some favourite spots near Glen Coe, the Cairngorms and on the West Coast. Where we end up depends on your time, travel arrangements and of course the weather. There are lots of photo workshops, so why this one? Personal tuition and guiding from someone with a teaching background, a flexible itinerary, and an authentic wild camp experience if you want it. The workshop is about you, not me! Some people are looking for skills development, others are more focused on eye-catching or unusual locations. I design your workshop based on your needs and wishes. When would you like to come? Any preference on location? "David took my daughter and I out on an incredible day of scenery and tuition. He knows the Cairngorms like the back of his hand. My daughter and I both had very different ideas on what we hoped to learn from David, she wanted to improve her landscape photography and I wanted to photograph mountain hares. David pulled both out of the bag with flying colours. David is an exceptional teacher, patient, knowledgeable and with an incredible way of sharing his knowledge without making you feel silly. We have both continued to confidently use the skills David taught us, and we are already planning on going back to him for another amazing day out of scenery and tuition. " 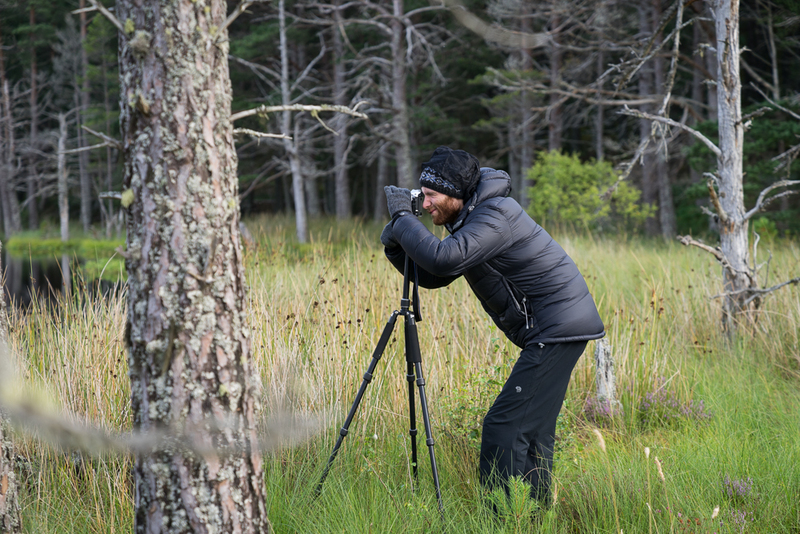 "I recently spent a few days with David in the North West Highlands walking, wild camping and photographing. I learned an enormous amount and I now feel as though I actually know what I’m doing with my camera! I’m seeing potential pictures everywhere I look. David’s patient and clear explanations provided me with an excellent technical grounding for future development. David was great company on our ‘adventure’ I can highly recommend David’s services to anyone who enjoys the outdoors and would like to learn more about photography from a genuine expert." "This was my first photographic workshop and it exceeded all expectations. 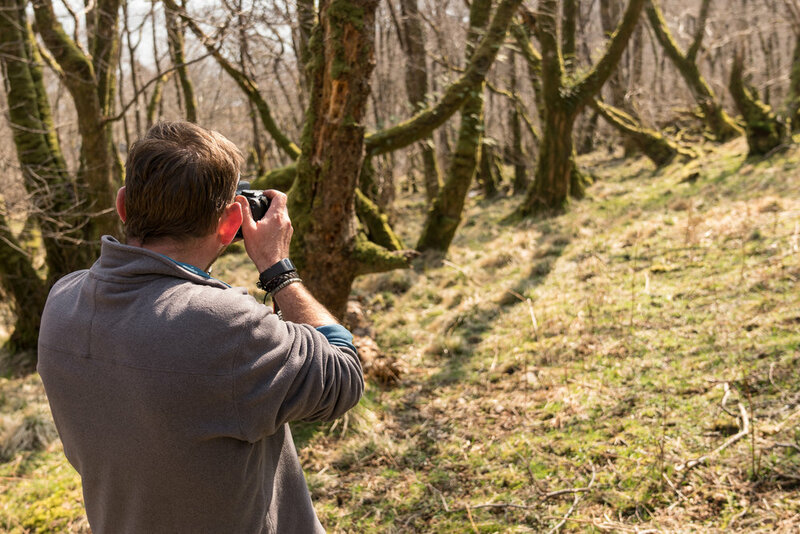 David’s detailed knowledge of the great outdoors along with his passion for photography made for a great two day landscape photography workshop with a wild camp. For one to one tuition it was exceptional value for money. David is a genuine nice guy who is great to spend time with on the hills and I will definitely be back to further develop my new skills. "David really helped me sort out a fundamental flaw (judging correct exposure levels) in my technique that had been holding me back and frustrating me for years, as well as introducing me to some new ideas for composition. Despite challenging conditions, he was able to identify shots which tested the learning from earlier in the session and built upon them too, making use of interesting scenes and lighting we found throughout the two days." 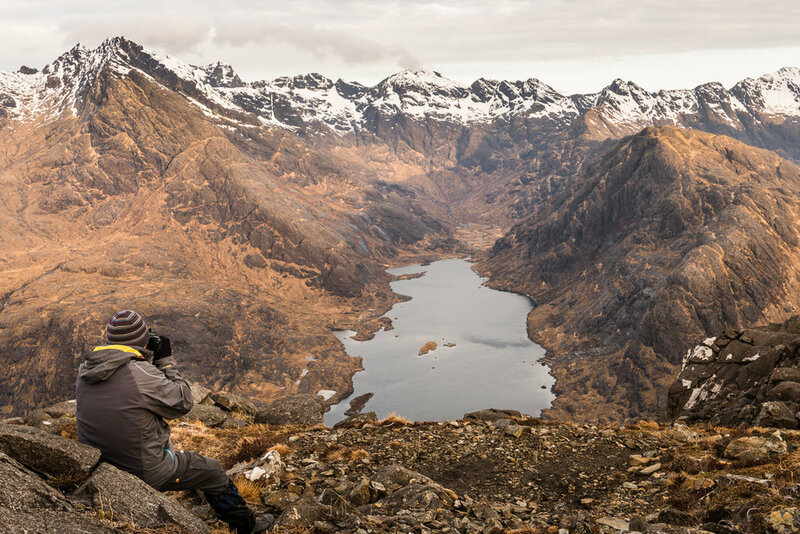 “I spent two days with David around Glen Coe and then two days in the Cairngorms. With David's help I was able to get some fantastic photos that I would not have gotten by myself. We went to some stunning locations and there were lots of opportunities for me to indulge one of my photography loves, moving water, despite the challenging weather conditions at times. "Had a great day of tuition in and around the Glen Feshie area. Even though the weather wasn't ideal, there was still plenty of interesting things to photograph. David was great at pointing out different subjects that I would have probably overlooked. It was a very good mix of learning compositional techniques, some technical tuition and some local knowledge of the area thrown in for good measure. David was very easy-going, with a huge wealth of knowledge, and the day went at a very relaxed pace, which was perfect for the area that we were in." "Throughout the weekend, David's tuition was perfectly judged. He alternated between sharing high-level principles and giving me a free rein to find shots myself, and then pointing out possible subjects and helping with framing and picking different perspectives. I found this mix really helpful; the more directive style gave me very tangible way to understand the concepts, and the subtle guidance gave me a chance to practice and work what I was learning into my own style. David was also a great source of local information about the area. I came home having gained a new perspective on ways to look for and frame images - and having learned a bunch about winter skills into the bargain! " "An incredible 3 days of photography tuition. In stunning surroundings and perfect conditions for shooting landscapes, we learnt a variety of technical and compositional techniques (and plenty of other handy tips) under David’s expert tuition. I came away delighted and feeling that my photography skills had gone up a few notches...so much so that I now have the first photo of my own that I’d consider hanging on my wall. If it’s outdoor adventure and top notch tuition you’re after, delivered in a very friendly manner, David’s definitely yer man!" "I learned so much, and enjoyed myself immensely. You are a talented and patient teacher."